A choice of double glazed window styles to suit your home. 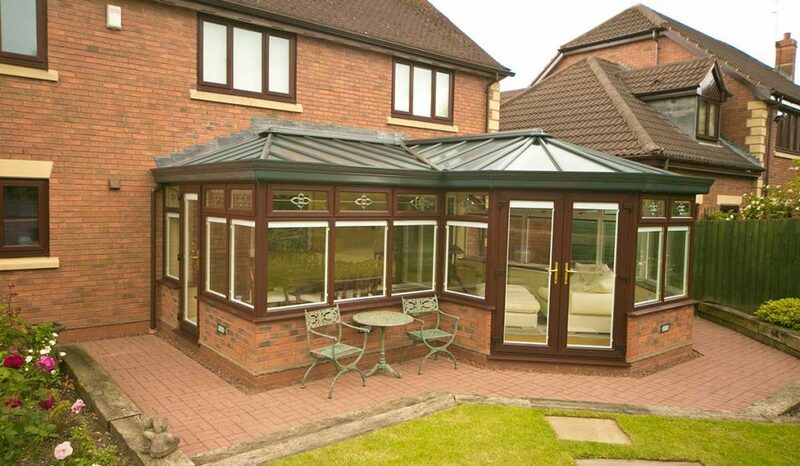 Installed by the experienced Malvern Glass team to your precise specification. Call now or get an online quote in just minutes. We can accommodate the design preferences of your home improvement project. When you contact Malvern Glass, a member of our team will talk you through our range of double glazed windows and explain to you the customisation options available. This approach will enable us to guide you toward a solution that meets your aesthetic and performance requirements, while adding market value and appeal to your home in Ledbury. Malvern Glass offers three types of double glazed window materials: aluminium, timber and uPVC. Each of these options comes with a unique set of benefits and means that we tailor your installation to suit the budget you’ve allocated. You’ll benefit from first-class performance, whichever material you select for your double glazed windows – which means your home in Ledbury will be safer, warmer and more aesthetically appealing. We’ve been helping customers in Ledbury and the surrounding areas with their home improvement requirements for many years. Whether your tastes are traditional or modern, we’ll be able to design double glazed windows that’ll suit the character of your property. Contact us directly by calling 01684 892 860 or send our team an email to request a call back. You can also visit our windows design app on your preferred online device to get a free quote in just minutes – you can even use the tool for most other products on our website. Find the right match for your Ledbury home by stepping through our extensive collection of double glazed window styles. Why not complete your ensemble with matching double glazed doors if you’re extensively renovating. Casement Windows. This style of double glazed window looks at home anywhere and will blend in effortlessly. It is also extremely affordable. French Windows. If you’ve been looking for traditional double glazing solutions, you’ll love the enduring charm of this ever-popular window style. Bow Or Bay Windows. Create a better sense of interior space and enhance the outside of your home with eye-catching bow or bay windows. Tilt and Turn Windows. Open your double glazed windows inward to ventilate your home in Ledbury and better protect it from intruders. Sliding Sash Windows. This vertically operated entry in our portfolio is ideal if you warn to enjoy the heritage look, but without the extensive upkeep. Buy your new double glazed windows from Malvern Glass with total confidence, knowing that you’ll be protecting your family and possessions more effectively from intruders. Our uPVC windows come readily fitted with multi-point locking mechanisms, which will deter almost all attempts by uninvited guests to gain entry to your Ledbury home. Our VEKA double glazed windows are available in all of the popular styles and are strong enough to withstand varying weather conditions without twisting, cracking, rotting or warping. The strength of our uPVC profiles makes them an excellent long-term investment for homeowners who want to add practical value to their properties. Enjoy the heritage look without worrying about extensive upkeep and maintenance when you choose from our increasingly-popular Styleline collection. The rounded corner joints that characterise these windows will make an impact on visitors. Should you want to further elevate the appearance of your mock timber windows, you can ask Malvern Glass to include features like bevelled, leaded or Georgian glass. We can also discuss other enhancements with you during the consultation process. If your home in Ledbury is a period property, or built in a protected area – like a heritage site – you’ll appreciate the traditional design of our Residence 9 Windows, which have been designed to meet planning requirements and UK Building Regulations. Customise your double glazed windows by selecting a single or dual colour option, so as to suit your internal and external design schemes. Explore our R9 windows in more detail by using our online quoting tool to answer a few questions and get a quote. Our wooden windows are enduringly-authentic and driven by modern technology. Select from our Bereco range, then choose your preferred finish or stain – resulting in a traditional aesthetic that’ll help your home in Ledbury stand out from the crowd. For information about our uPVC, mock timber and wooden windows, call or email the Malvern Glass team today. Get an online quote in just a couple of minutes by using our window design app to answer a few questions – then visit it again to get further comparisons on other products. We offer our high quality services throughout Malvern, Worcester, Worcestershire, Evesham, Ledbury, Leominster, Stourport-on-Severn, Kidderminster, Pershore, Upton Upon Severn, Ross on Wye, Bromyard, Droitwich, Tenbury Wells, Kempsey, Norton, Tewksbury, Newent, Bromsgrove, Gloucester, Cheltenham and surrounding areas. If you don’t see your area, simply get in touch and we’ll let you know if we can help.